Before you enter the gladiator arena or battlefield, make sure you are in top fighting form! 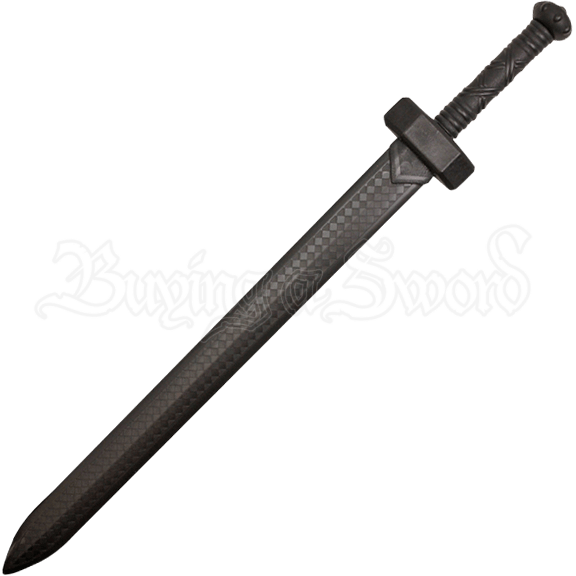 This Polypropylene Roman Style Battle Sword blends modern technology with classic design to create an attractive and durable training sword. 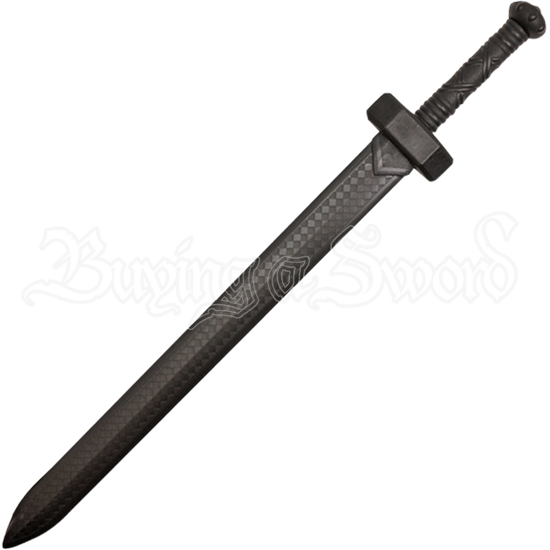 This black polypropylene rudis features a straight double edged blade with a checkered design down the center. The guard exhibits a hexagonal shape. The cylindrical grip depicts a cord wrapped design. The pommel is an oblate spheroid with studded accents. 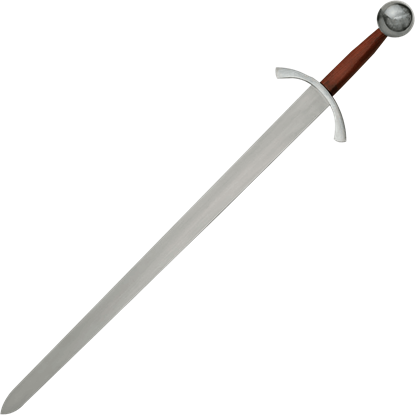 A brutal choice for simulated combat, the Polypropylene Roman Style Battle Sword also makes an exemplary prop for cosplay conventions, Halloween parties, and reenactment events. Size does nothing to diminish the stunning appeal of this Turkish Guard Short Sword. 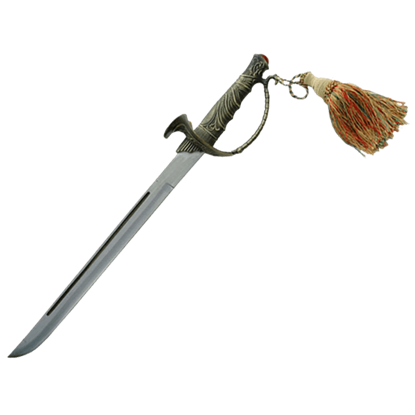 Ornate detailing, a fine scabbard, and a colorful tassel make this piece a fine display sword, as well as a great weapon to hang at your side.